Yippeee my daughter has had another long nap! So I mangaed to get this one done! 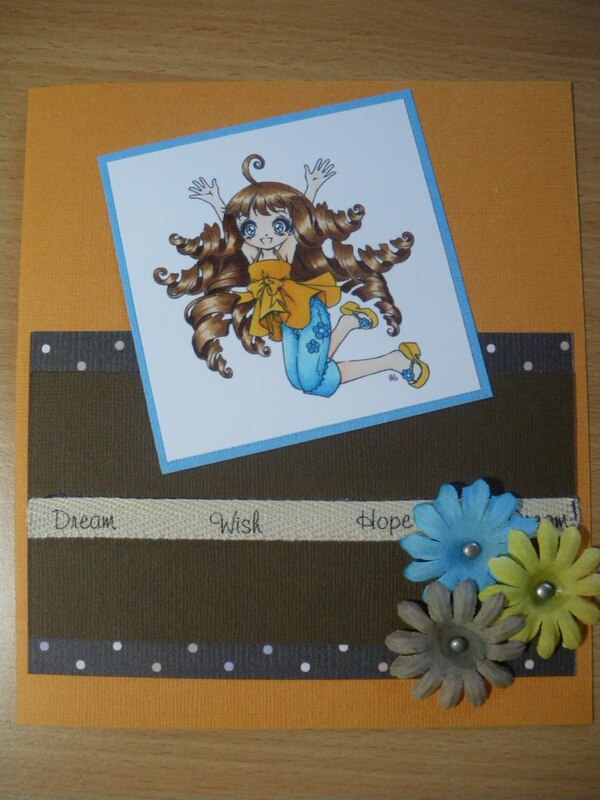 This lovely girl is a digi stamp from Make It Crafty ... isn't she just lovely. I love the hair! Copic Oz are doing a 'Its' All About The Hair' challenge and I thought she would just be the perfect entry ... all those curls! I must admit this hair took quite a while .. but was so worth it in the end as it just makes her so happy and healthy looking (I think anyway). Well I must get this done as my daughter will wake up any moment! I'm entering this card in Copic Oz - Its All About The Hair & Make It Craft - Category Five. Your coloring is beautiful, Carly! I love how you colored her hair! omg carly the hair is gorgeous!